Our history begins with our grandparents Arduino and Zina. After many years working in the lower Modenese countryside, they purchased with their lifesavings a cottage surrounded by a vineyard. In the 1970s, their son Felice and his wife Iride converted the vineyard to organic and biodynamic. This was considered madness at the time; however, their profound respect for nature helped them overcome all challenges. At the beginning of the 1980s, our farm followed German biodynamic policies. Italy had yet to distribute organic certification, so our certification was granted by a Germany controlling body (Demeter). 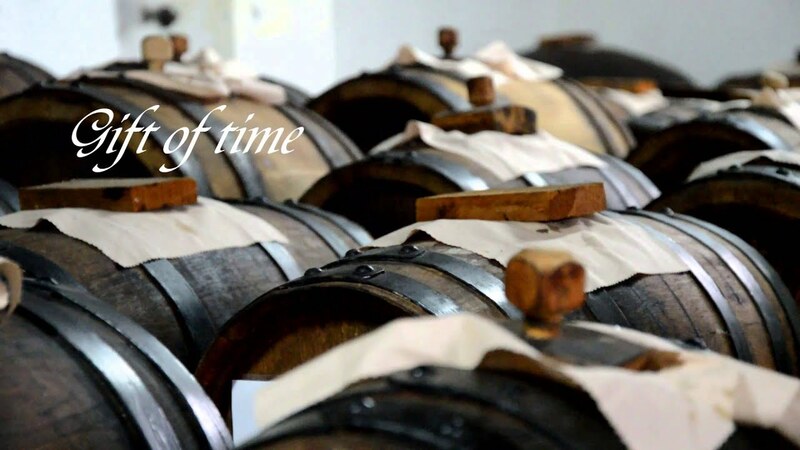 In the same years, we began to produce traditional balsamic vinegar from Modena. Nowadays, our vinegar company is the only one in world to be certified organic and biodynamic. This is perhaps one of our greatest prides. This Aceto Balsamico di Modena Rosso (Red Label) is designed for those who love to use every day a balsamic vinegar of very good quality. It is obtained slowly cooking and reducing grape must. Wine vinegar is added only afterwards. The quality of grapes gives it a distinctive strength and fragrance. We suggest that you use it on any type of salad and stewed vegetables. For instance, cauliflower, chickpeas and chicory. We also offer Aceto Balsamico Tradizionale di Modena DOP Extravecchio, aged over 25 years, the production of which does not exceed 400 bottles per year, simply because the sets of barrels do not produce more than that. Is the only one in the world organic and Demeter certified. Tasting this vinegar is a sort of rite. In the tradition of Modena, Aceto Balsamico Tradizionale di Modena DOP ages and refine in barrels, sometimes over hundred years old, handed on from father to son. The Extravecchio Guerzoni deserves to be tasted as it is, with a teaspoon possibly made of china. Capable of making exceptional every dish, is an excellent and refined product best on meat, fish, cheese, pears and other fruit, also tropical fruit. The aroma and delight of apples meets the Guerzoni Acetaia. This vinegar was created as an innovative and non-filtered product. It is produced naturally without pasteurization, leaving all of the properties of the Italian apples intact. Thanks to a careful selection of raw materials before gentle and natural processing, the vinegar maintains all of its fragrance and preserves all of the sensory properties of the fruit. An acidity level of 5% makes it balanced and enjoyable. The freshness and aroma are characteristic of Guerzoni’s apple vinegar that can be used every day. It is versatile in the kitchen, but moreover a product that can improve your health. Our ready-to-use Cream with Aceto Balsamico di Modena IGP is perfect for those who want to cook quick and cheap creative dishes. We add cooked must and starch to our Aceto Balsamico di Modena IGP to make it sweet and creamy. Just pour, to decorate and give a typical taste of Modena to your meat dishes, or to ice cream, fruit and pastries. The grape must Guerzoni has been produced following the old recipes of the peasant tradition for the grape must preparation for the “sugoli” (grape pudding): the grape must is growing out of the first grape squeezing and then is cooked slowly with the grape skins in order to compound the flavour and the colour; the grape must is finally pasteurized and vacuum bottled without any addition of preservative. The grape must is ideal for the grape pudding production, but thanks to its penetrating flavour is a pleasant drink to be consumed fresh with or without water addition, suitable for therapeutic fasting or for the grape cure.